Philadelphia Eagles cornerback Sidney Jones. A highly touted draft pick made by a Philadelphia team gets hurt, misses significant playing time but ends up better off because of it. Joel Embiid missed two entire seasons and more than half of a third before becoming an All-Star, second team All-Defense selection and second team All-NBA member. Ben Simmons missed all of 2016-17 before likely winning Rookie of the Year. Markelle Fultz misses all but 17 games but becomes the youngest player ever to post a triple-double. And Sidney Jones IV goes from having a torn Achilles' tendon and missing 15 games to being the Eagles No. 1 cornerback. At least that's what Jones expects to happen. "I have high expectations for myself," Jones said after OTAs began Tuesday, "proving it to everyone else too. I was rated highly last year but I didn't get to show it last year." Jones was graded as a first-round talent prior to the 2017 NFL Draft, before injuring his leg at his Washington University pro day. And, because of that, the Eagles may have been able to get a steal with the 43rd-overall pick. Jones spent most of last season rehabbing before taking the field in Week 17 against the Cowboys in a meaningless but confidence-building game. "Last year was a little taste," Jones said. "I practiced a little bit and they saw my ability there, going through these OTAs, I missed that all of last year. This is very necessary in terms of my improvement as a player. Every week I was preparing as much as possible as if I was going to play." And when he did, he found his pro football footing. "It meant a lot to me. It was on the borderline, was I going to play or not?" he recalled, "but I was ready to get my feet wet before I played this year, it was good for me." So he's not quite a rookie — even though many do group him together with the class of 2018 (especially with his young age — he just turned 22 on Monday). And for sure, don't call No. 22 a rookie. He already paid his dues last year. "I feel more like a second year player personally," he said. "Mentally I have everything, just from being in the room, I am not like a rookie. I know everything inside and out. "The people around me, my teammates just watching how they work, the standard they hold everybody else to it was amazing. It felt like college how they embraced me, the brotherly love on the team." It was a team Jones was very lucky to find himself a part of. Just a year removed from blowing out his ankle and stumbling down draft boards, he's a Super Bowl champion who has been able to experience life in the NFL first hand as he prepares to open training camp completely healthy. "Definitely highs and lows," Jones said, doing his best to characterize the last year of his life. "I always am trying to look at the positive side of things. Injuries happen, life happens, adversity hits — it’s a blessing to be on this team and the best scenario happened — we won the Super Bowl so I can't complain." For fans who have only seen Jones play once — against Dallas back in January — the man himself says he's a "playmaker and a ball player." Which is exactly what the Eagles suddenly loaded and youthful secondary needs. With Ronald Darby and Jalen Mills slated (now at least) to fill the starting role, Jones has practiced in the slot during OTAs, a role he's never played in a game. 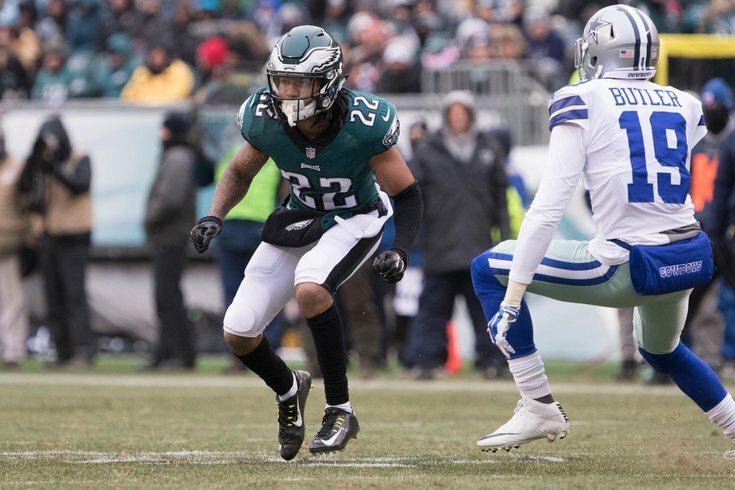 It's too early to predict what his role will be, but after years of eye-rollingly bad cornerback units the position is finally an area of strength for Philly. The defense could turn heads in 2018 as the unit plays with the biggest target on its back in the entire NFL. And that's just how the spry, confident young d-back wants it. "My expectations are tip top." So are everyone else's. Welcome to the NFL (for real this time).